In this article I'm going to review the trends in digital experience design that we've seen so far in 2016. As a designer and developer, I’ve written about such trends before, but this is the first year where I have started to notice the more significant changes I'll describe first. In the web design/digital experience development community, there has often been separation between the way a website looks and the way a website works. This has generally resulted in differences of opinion between designers and developers. In recent years we have started to see this change, but for the first time we are seeing less of a divide with designers now paying serious attention to functionality and not just to form and design. Artificial intelligence will have a big impact on the way designers think about digital design. Design in its original sense will take a back seat and become more transparent. As more apps start to present us with contextual information , artificial intelligence will start to help us take action on that information. We’re already starting to see examples of this on mobile apps. It is only a matter of time before this transitions to the web. One example of this is Facebook’s M which is Facebook’s answer to Siri. Although similar to Siri it can perform tasks that outshine that of its rivals. 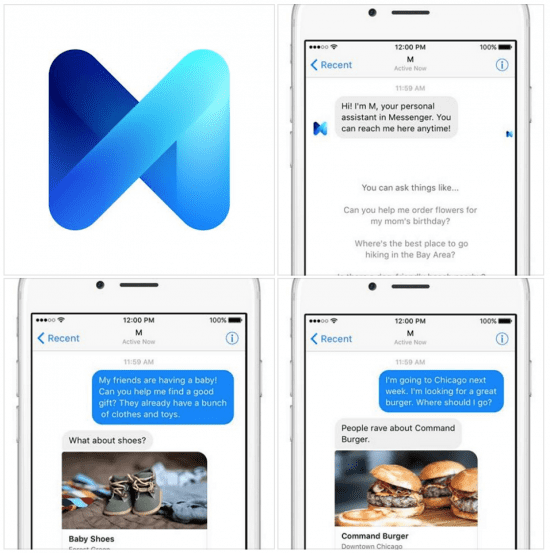 "M is a personal digital assistant inside of Messenger that completes tasks and finds information on your behalf. It's powered by artificial intelligence that's trained and supervised by people." Another example of this is Google’s Smart Reply for Gmail. Smart Reply makes life easier for Gmail users by suggesting 3 answers based on the email that was sent. Traditionally digital design would begin life in design software such as Photoshop. The visual look would be designed and the layout decided at this initial stage. This is all very well to get an idea for the look and feel of a design but it’s still quite limiting when it comes to seeing how the design will look and work with dynamic content, as well as how it will actually feel interacting with it. In response to this software companies are beginning to create design tools that allow for this such as Adobe Comet and Sparkbox. 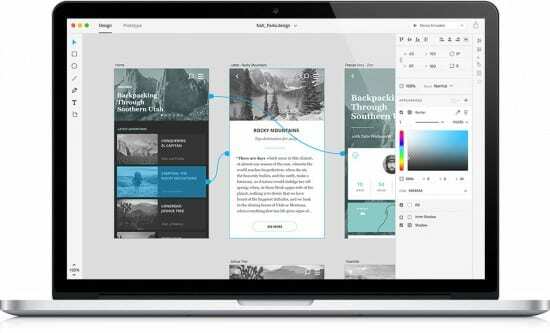 These new tools allow designers to focus on interaction and not just layout. This new way of creating living design documents will allow designers the time to think about this rather than it just being an afterthought once the design has been coded up. I've been involved with creating more interactive, animated designs for Smart Insights with our new digital strategy benchmark tool which stores the results of all interactions. 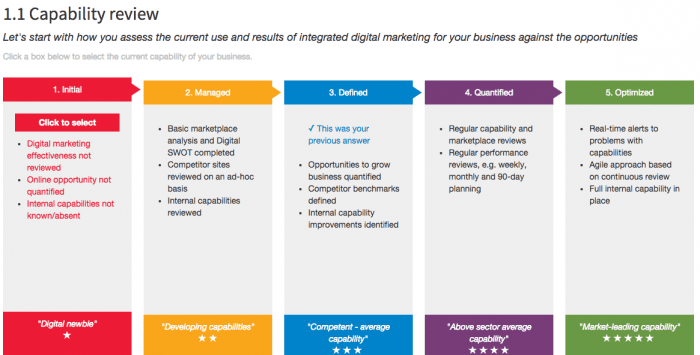 All Smart Insights members can check this out in the members area for the Digital Strategy Toolkit or other tactical toolkits like SEO, Social Media, Analytics, etc. In 2016 we will continue to see the transition from an emphasis of design on aesthetics. Design is subjective and as such can often be the result of opinion. 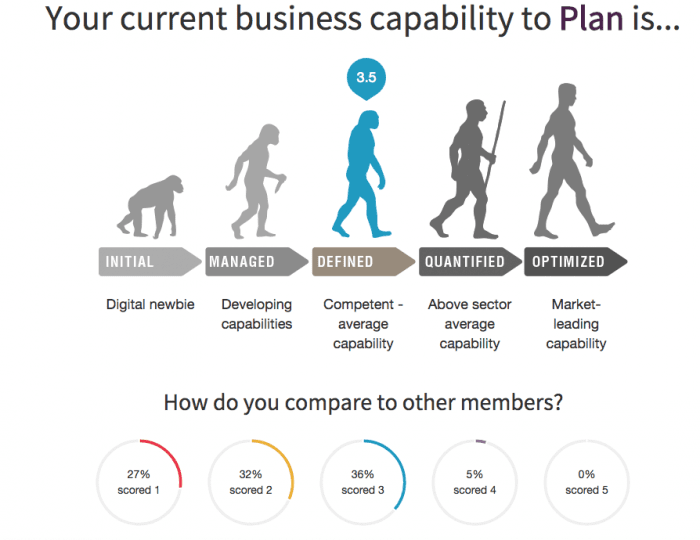 Large organisations already have access to business intelligence tools and have the ability to measure and iterate design by metrics such as click-through rates, conversions, AB and multivariate testing, etc however many smaller organisations don’t. With new tools such as Apropose emerging, we will start to see this filter down that will make design more data driven. As we start to see more and more retina devices coming on to the market, viewing the old web on these devices can sometimes lead to images being pixelated or distorted. One way to solve this is to use vector graphic images over more traditional image formats. The advantage of vector graphics is that they can be scaled to any size without losing any detail or becoming pixelated. A few years ago a new image format was introduced called SVG which is indeed a vector graphic format. The great thing about these files is that illustrators who use software such as Adobe Illustrator can export their vector graphics directly to an svg file which can be then displayed on the web. With SVG now supported in all major modern browsers and designers wanting their designs to be as clean and crisp as possible we will start to see a lot more use of illustration in digital design. Storytelling is part of human nature. As humans, we love living in a land of make-believe. We read novels, watch movies and plays. Even sporting events can unfold as narratives. We are naturally drawn to a good story. Websites that tell a story can often engage users and play on something that evokes human emotion. Storytelling requires creating visual and user interface elements to create something that humans want to interact with. With an emphasis on conversion, designers will be encouraged to utilise this technique and we will start to see more storytelling within digital design. Following on from storytelling comes long scroll websites which can often be interlinked. It was once thought that placing all content above the fold was the way to go, but recent research actually suggests the opposite. Long scroll websites allow users to be taken on a journey. With storytelling being more relevant than ever and designers still insisting on parallax design. Long scroll sites are not going anywhere just yet. Minimalism has been hugely popular for the last couple of years, supported by the popularity of “flat design” and frameworks such as Google’s Material Design. Some have criticised minimal web design and have griped that many websites are starting to look the same. I can understand where they are coming from however, there are reasons why this happens. In the early days of digital design ,there wasn’t such a thing as user experience. Since the early days, we’ve changed the way that we use and consume the web. Analysis of the way we use the web has resulted in common digital design patterns that work. Design patterns have now grown up and as a result of this there’s not much room for creativity when it comes to creating new patterns.